9:30pm–#Bridgeport CT–#cttraffic– A two car crash with possible entrapment I-95 southbound where else but 27A. It appears to be in the left median, traffic does not appear to be too bad. 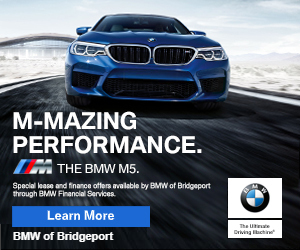 Bridgeport News: Crashes On North Avenue! 7:35pm–#Bridgeport CT– A single car crash into a utility pole at Housatonic and North Washington Avenue. The driver suffered serious leg injuries according to firefighters who extricated him from the vehicle. I Got A CHAREGE Meeting Barry From O’Reilly Electric! Welcome Barry to the DoingItLocal family of advertisers who help make this site work! Barry is local electrician who specializes in both commercial and consumer. His number is 203-667-8740 or visit him at http://www.oreillyelectricllc.com or on Facebook at: https://www.facebook.com/OReilly-Electric-LLC-1522213347864782/ Welcome to the DoingItLocal family Barry!